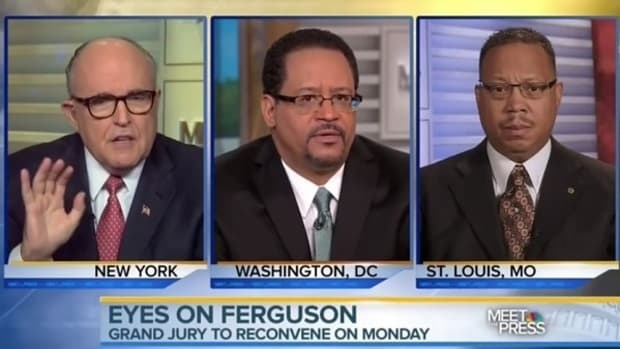 America's "tough on terrorism" mayor goes all in on shady group with a history of terrorism. 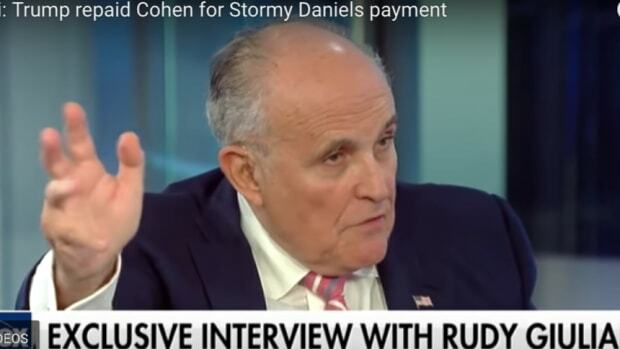 A few weeks ago, Rudy Giuliani told attendees at an exclusive private dinner for GOP fatcats, "I do not believe that the president loves America." Subsequently, a ridiculous debate ensued on the blogosphere about whether President Obama does in fact love America. Although the president hasn&apos;t addressed this "issue," one thing is clear: Rudy Giuliani might not. 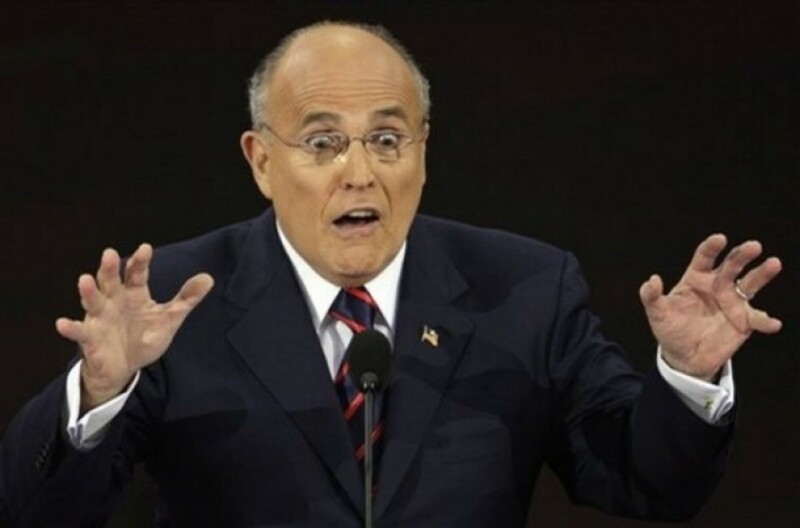 How else could one explain Giuliani&apos;s support for a cultish Iranian opposition group that was formerly on the U.S. State Department&apos;s list of Foreign Terrorist Organizations (FTO) and has been implicated in the assassinations of six Americans? On Wednesday, Giuliani appeared on Fox & Friends, where he announced that he&apos;s traveling to Berlin this weekend to meet with the Mujahedeen e-Khalq (MEK), which he says "could replace the Iranian government." Since as far back as 2010, Giuliani -- America&apos;s supposedly "tough on terrorism" mayor -- has been one of the most recognizable faces on an impressive roster of U.S. politicians and bureaucrats who, for lucrative fees, have been lobbying on the behalf of MEK, also known as the People&apos;s Mujahedeen of Iran. In December 2010, Giuliani, along with three former Bush administration officials -- Attorney General Michael Mukasey, Homeland Security secretary Tom Ridge, and Homeland Security adviser Fran Townsend -- spoke at a forum hosted by MEK in Paris where the exiled MEK leadership is based. The Washington Post reported at the time that the four Republicans decriedthe group&apos;s designation as a terrorist organization by the State Department, and criticized Obama&apos;s policy on Iran. MEK was delisted by the State Department in September 2012 after 15 years on the FTO list. MEK has also enlisted the help of high-profile Democrats such as former Vermont governor Howard Dean and former Pennsylvania governor Ed Rendell, both of which have served as chair of the Democratic National Committee. Others who&apos;ve lobbied for MEK include two former CIA directors, a former FBI director, a former National Security Adviser, and a top State Department counterterrorism official. According to The New York Times, compensation for these speakers, including Giuliani, ranged from $10,000 to $50,000 per speech. Furthermore, as Glenn Greenwald noted six months before MEK&apos;s delisting, under the Supreme Court&apos;s free speech-limiting 2010 ruling in Holder v. Humanitarian Law, "To advocate on behalf of a designated Terrorist group constitutes the felony of &apos;providing material support&apos; if that advocacy is coordinated with the group." 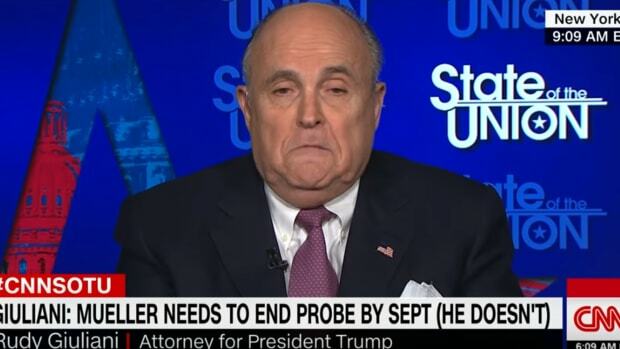 That means that up until MEK&apos;s removal from the FTO list in September 2012, Giuliani and others who spoke on behalf of MEK could have been charged with a felony for "providing material support" for terrorism, which can carry a prison sentence of up to 15 years. 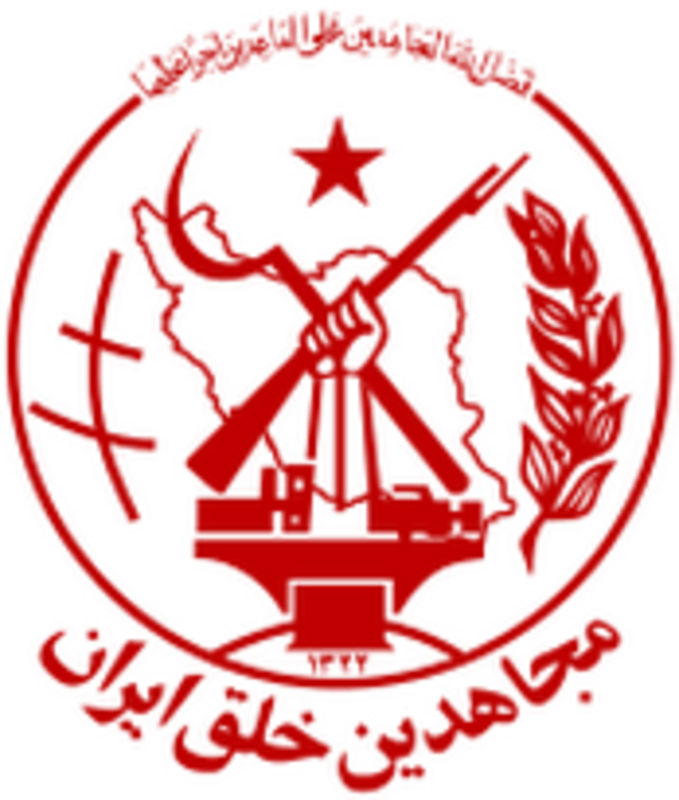 MEK was founded by Massoud Rajavi in 1965 as an opposition group to the U.S.-backed Shah Reza Pahlavi. Quite mysteriously, Rajavi has not been seen in public since 2003, though he is said to be in hiding. However, it&apos;s not entirely clear that he&apos;s still alive. His wife Maryam Rajavi now runs MEK. Although Iran&apos;s regime changed in 1979 from a U.S.-friendly dictatorship to an anti-U.S. one in the form of the Islamic Republic that remains today, MEK&apos;s status as an opposition group has not. It fiercely opposed Ayatollah Khomeini and was in turn attacked for it, prompting the group&apos;s leadership to flee to France while most of the other members sought safe-haven next door in Saddam Hussein&apos;s Iraq -- Iran&apos;s nemesis at the time -- where many of them remain at Camp Ashraf and Camp Liberty. "I studied the MEK in depth and over a period of many months for the U.S. military. I visited Camp Ashraf, the MEK facility 40 miles north of Baghdad, and interviewed MEK members, former MEK members, and dozens of military and civilian officials. Along with almost all of my interviewees and Human Rights Watch, I concluded that the MEK is a cult. It employs many common cult practices: mandated celibacy and divorce, thought control, sleep deprivation, and forced labor. It segregates men from women, separates families and friends – who must seek permission just to converse – and even tells family members back home that the members are dead." "Human rights abuses carried out by MKO leaders against dissident members ranged from prolonged incommunicado and solitary confinement to beatings, verbal and psychological abuse, coerced confessions, threats of execution, and torture that in two cases led to death." 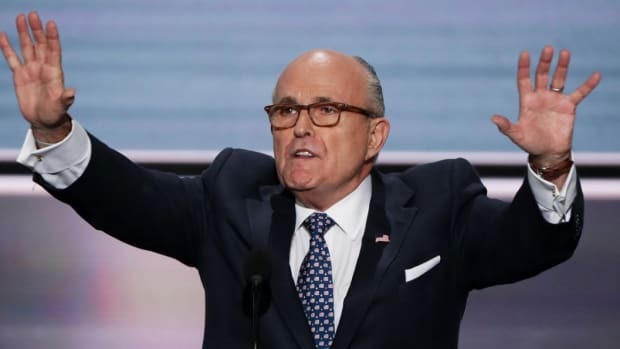 Giuliani has said MEK is "our only hope" for change in Iran, but there is no reason to believe MEK is a viable threat to overthrow the regime. Furthermore, coups d&apos;état rarely yield smooth transitions, especially in the Middle East and North Africa as the last several years have made abundantly clear. Iran may be run by an oppressive regime, but the country is nevertheless stable, and it&apos;s highly unlikely that this would remain so in the event of sudden and drastic regime change in a country of nearly 80 million. Additionally, it&apos;s not clear that an MEK-run Iran would be an improvement over the current government.